Apple’s New 5K Retina iMac Performs As Well As It Looks! It seems like it’s been a while since we’ve seen Apple deliver us anything other than a new iPad or iPhone. Now for true Apple fans such as myself, this isn’t really too much of a problem. That being said, sometimes, it’s nicer to sit and use a big beautiful computer. Not a laptop. An actual desktop computer. It’s been so long since I’ve actually operated one, and I won’t lie; I miss it sometimes. Apple has continuously made a name for themselves with their consumer mobile electronics, however. It seems like that’s all they’re known for anymore. Luckily for us, they’ve not forgotten those users that like to remain a bit more stationary. They gave us a new iMac, and holy crap it looks incredible. Apple released a new iMac with a 5K display… yes, you read that right. When you take a look at the screen of the new iMac, just prepare to be blown away at the sheer beauty of it. Why is it so remarkable? Well, it’s because of the recent Apple term “Retina”. Apple use this term when it essentially doubles the pixels on a typical screen resolution. We’ve seen Retina devices from Apple for a while now. The original Retina iMac that we saw had only 2,560 x 1,440. Now that isn’t saying that the display looked bad, because it did not AT ALL. The new 5k iMac doubles those numbers though. A whopping 5,120 x 2,880 pixel count is what you’re going to see when you look at this bad boy. The screen boasts 14.7 million pixels across the entire 27-inch real estate. This makes this particular display perfect for anyone looking to do some illustrating or photo editing. After all, you’re working with 14.7 million pixels remember? While yes, the screen of this new iMac looks nothing short of phenomenal, it’s a lot more than just a pretty face. This new iMac is as powerful as it is gorgeous to look at. They made sure to match the inner workings with the outer beauty. The new 5K Retina iMac houses a 4th gen Haswell Intel Core i5 quad-core processor that runs at a cool 3.5GHz, so you know that you’re getting speed and performance. If that’s not good enough for you, you can always upgrade the processor to an Intel Core i7 quad-core processor which will run at 4GHz. The graphics card that comes with the base model is an AMD Radeon R9 290X GPU, and 2GB of RAM. Yet again, if you want a bit more graphical power, you can upgrade the graphics card too, to an AMD Radeon R9 295X with double the RAM. You’re going to want the best for this 5K screen anyway. There are some out there, myself included, that might be wondering just why Apple decided to go ahead and release an iMac with a 5K resolution display. This type of technology is a bit ahead of its time, simply because it’s hard enough already to find any 4K media, let alone 5K. That isn’t to say that a new 5K monitor and computer isn’t appreciated though! Apple just simply has the resources to pull this type of technology off. The main selling point of the new iMac is clearly the 5K screen, but you’re also getting a very powerful computer to go along with it. The price tag sits right at $2,499, but if you think about what all you’re getting, it doesn’t really seem overpriced. After all, a regular 4K display costs around that price anyway. You’re looking at a better screen and getting an amazing computer for the price of a good 4K monitor. 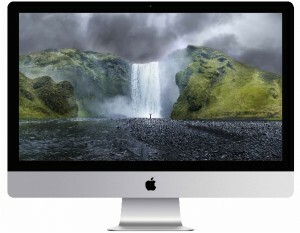 Apple’s new Retina 5K iMac is nothing to take lightly. It shows that Apple still has the gusto to make amazing hardware that isn’t just for a mobile market. The sooner you can get a look at this new iMac, the better. It’s beyond impressive. Well played Apple, well played. Do You Need Lots Of iPads? Technology is expensive, is it not? I know for a fact that I can’t go out and buy a brand new iPad whenever I want to. The more advanced technology gets, the more expensive it seems to get as well. Owning new devices can cost so much these days. Mind you that this isn’t just for personal use either. If you need a lot of iPads for one occasion, you could be looking into quite the price tag depending on the number that you need. 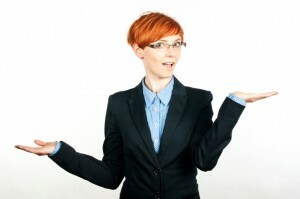 Purchasing many devices at one time could definitely break the business budget. I don’t know about you, but I’m not the biggest fan of ultra large price tags (who is though?). This why there are rentals for tech devices like this. That’s right! 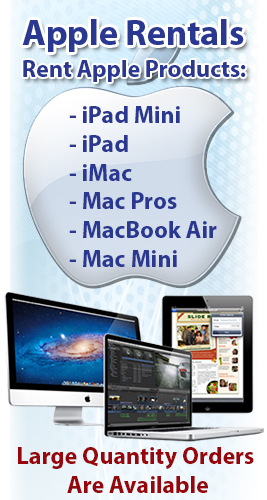 You can rent iPads for any occasion should you want to! 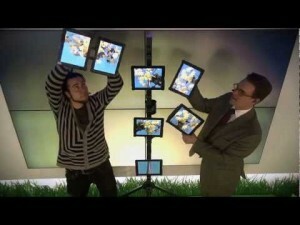 For Some Crazy Swedish Guys Doing Weird Things With iPads Click The Image. For The Rest Of The Story Click Here. Which One Is Right For You? Mac or PC? A Windows or an Apple computer? It’s a discussion that invites flame wars with many people. Before we get into the differences between both of these wonderful machines, we need to first establish some definitions. Comparing Apple computers that run Mac OS X and computers running the Windows operating system, better know as Microsoft, Dell, etc. 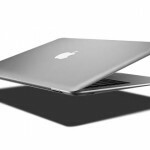 Ever since the Apple computers, especially the MacBook Pro’s, sales have been increasing. Why is that? Is it the layout of the system, the design? 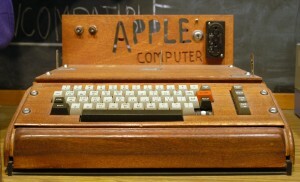 The fancy perks Apple gives its users like photo booth, iMovie and easy access to iTunes? It could be for many young users.Keep in mind that Apple computers account for less than 5 percent of computers worldwide. It is the sales of the companies popular iPhones, iPods and iPads that provide a strong boost for Apple’s overall earnings.So overall, which one is better, Mac or PC? To start off you have to compare the prices of both. Apple prices their computers very high, rarely under $1,000. Especially if you want to pay another $200+ on battery insurance. Many of Mac users, especially young college students say it is truly worth it though. The problem with comparing prices between Macs and PCs is that the value of a Mac or PC depends on the consumers personal needs. 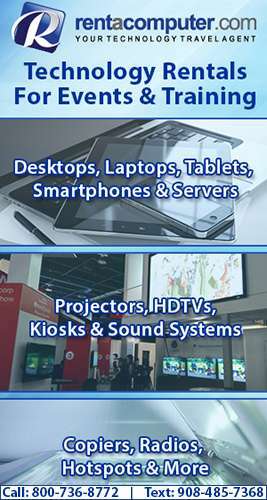 Depending on what you want to spend on a laptop or monitor is completely up to you. Believe it or not Macs and PCs have very similar internal parts (processors, RAM, hard drives, video cards) but the speed and capacity vary. Overall Macs will outperform low-end PCs because Apple typically boast more expensive and better quality parts. 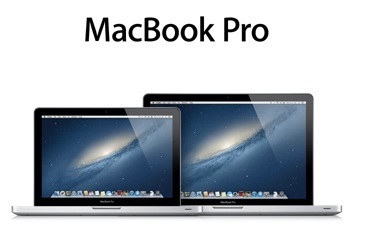 But many PC’s will preform just the same as Macs will for possibly a cheaper cost. 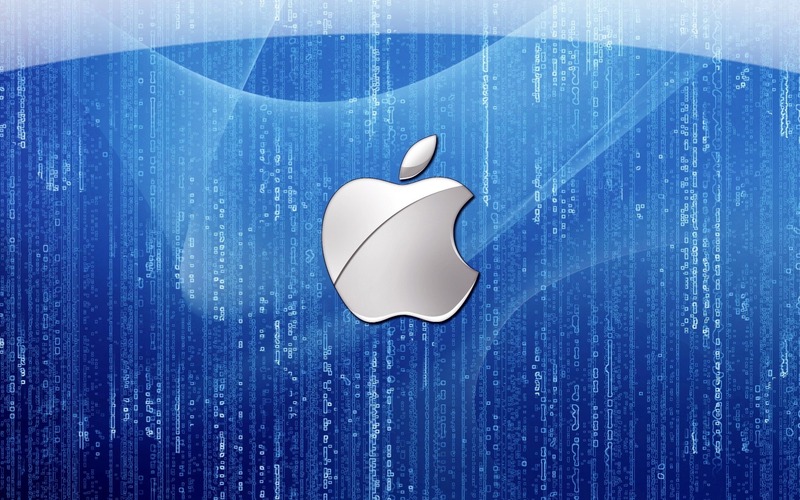 Since Apple controls the hardware and software bundles, as well as model updates, every Mac operates smoothly without worry on lagging, and have stable and expected performance. With PCs, different OEMs and custom PCs might not have the suitable drivers released for every components in each OS version, which may cause lagging. Since Macs aren’t as popular as the hundreds of companies that run Windows, there are fewer malware written to target Macs. Most virus writers target Windows systems because it is the popular desktop choice. Although the threats of Macs getting virus’s are growing from software like Java. Is The New Mac Pro The Best Choice For “Professionals”? Christmas is right around the corner and as with any holiday season, it’s time for Apple to come out with its “big guns”. Just in time too. There is not much time left for holiday shoppers, especially for the tech geeks or the tech savvy businessmen out there. So what does Apple have to offer its consumers this time around? The brand new cylindrical Mac Pro. This new computing tower is Apple’s answer for many different “professionals” out there, whether they be artists, musicians, or movie makers. Apple has always been very simplistic with their advertising and market strategies as their products have always maintained a sense of elegance. They have always, usually, managed to deliver with their promises as well. The only real question now is what is the new Mac Pro going to be capable of, as it isn’t slated for release until December, and is it really suited for just “professionals”, or can it be utilized by any consumer or business man alike? So let us take a look at what is making this new cylindrical powerhouse tick before we see what its prime uses could be. 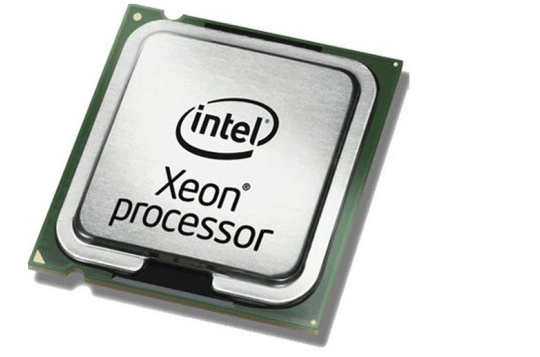 The lowest end model will be featuring a 3.7GHz Intel Xeon processor, which means top quality fast performance for many of the tasks that you would need to perform. 12 gigs of RAM means you will have the speed that you will desire without much, if any lag or load times. A new AMD ProFire graphics card will be perfect for artists and graphic designers alike. The low end model also comes stock with an SSD storage that can be found in current iMacs and Macbooks out right now, as well as the latest standard WiFi found in the most current MacBooks out right now. After all of these components come together, you are left with quite a powerful machine that can handle even the most complex and taxing tasks. Apple has quite a bit to live up to with its promises of being “the future of pro-level desktops”, but again, they are usually very good at keeping up to their word, despite certain issues with some of their other products, like the many problems with the iPhone 5S fingerprint scanner. Now that they have specific market to shoot for with the new Mac Pro, the only thing that will hold potential buyers back is the hefty price tag. With the low end model starting at $2,999 and the higher end model starting at $3,999, the person you are buying for better be really into their artistic passions. But having this machine in the work place, especially one that specializes in production in film or music, would be an invaluable resource for the production team. Finally a computer designed for the people behind the scenes. December could be a big month for Apple should production companies invest in this new tower. Plastic iPhone: Bonus or Bomb? Supposedly there is an iPhone 5S in the works that will run about $350 and is made of plastic. One has to wonder if this is the answer to the “champagne taste vs. beer budget” dilemma for so many consumers. Analysts are encouraging big tech firms to consider marketing more to the low-end Smartphone market in order to push sales and generate profits. They contend that the upper-end market is already overcrowded. It looks like, if rumors are true, Apple has taken note of the analysts’ suggestions and have been working on a plastic iPhone. Sources behind the leaked information say the device is polycarbonate and the screen will stay at the same 4-inches as the iPhone 5. Overall it is said to have most of the same specs and features being carried over with only a couple of minor downgrades and the outer materials to keep costs at a minimum. Rumor has it the new unlocked iPhone 5S Light will come in a variety of bold colors to appeal to both younger and older consumers. But the price will be the attention grabber and will undoubtedly make a huge difference when it comes to appealing to lower-end markets. The real question is: will mainstream markets consider $350 affordable? Smartphones are definitely a very personal choice that put a real hit on the wallet if you choose to get the latest and greatest of features, name brand and apps. Maybe Apple has the right idea with making a more “disposable” type phone. Especially in the business market, providing every employee with a smartphone could have its advantages but could prove to be too expensive for some budgets, especially a small business. An iPhone 5S Light could also be the perfect answer to all those parents who dread the phrase, “I just dropped my phone and its broken!”.